Robust milled out aluminium enclosure, pearl blasted and black anodized. Features a Neutrik opticalCON Duo™ chassis connector on one side, and a 1 meter cable outlet with FieldCast 2Core connector on the other side. 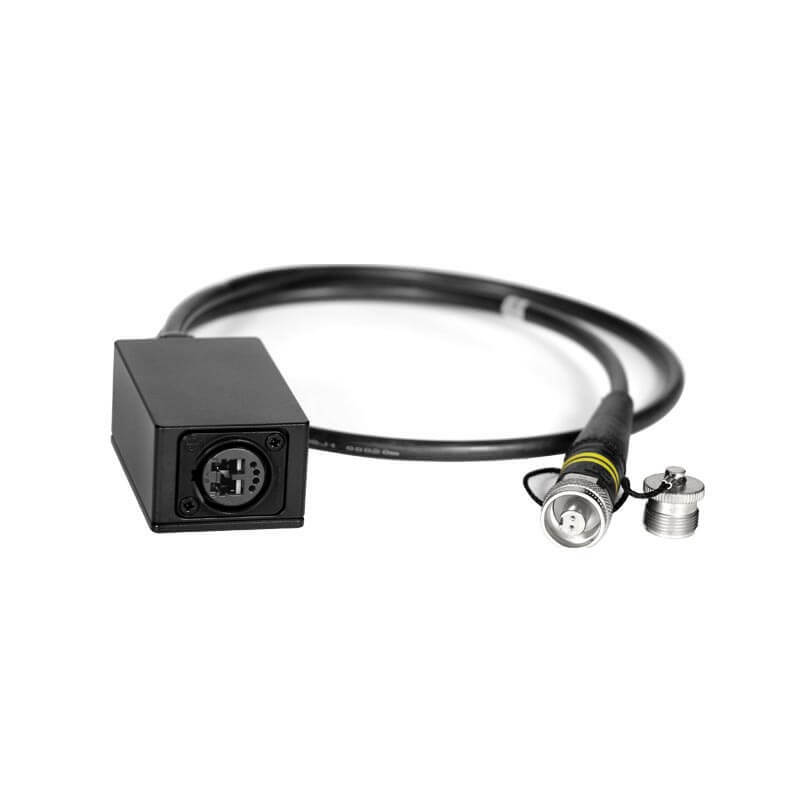 The adapter accepts opticalCON Duo cable connectors, whereas the cable outlet connects to FieldCast 2Core Chassis Connectors, making it possible to use opticalCON cable assembles in FieldCast infrastructure environments. With its LC Duplex connectors the cable outlet directly taps into the back side of the opticalCON chassis connector, so no extra adapter inside adding unnecessary attenuation. Enclosure contains 1/4" steel insert to mount on tripod, rig, arm etc., and also has two extra M3 taps for attaching the adjustable belt clip. Dimensions: 75mm x 45mm x 33mm. Adapter Three bridges FieldCast fiber optic infrastructure and opticalCON Duo fiber optic cable assemblies, enabling you to migrate to FieldCast without having to sacrifice your old opticalCON cable drums. With Adapter Three you can connect any opticalCON Duo cable to FieldCast 2Core Chassis Connector or Adapter Cable. You even can connect to Coupler Cable and cascade FieldCast and opticalCON for longer distances. Adapter Three really makes it easy to integrate opticalCON Duo cable assemblies into your growing FieldCast infrastructure. Of course you can decide to go FieldCast all the way and refit your cables, but in the mean time you simply want to have return on your investment and use your opticalCON Duo to the max. And if you are in the rental business, you want to be as flexible as you possibly can! Adapter Three features on one side of the meter long cable a standard FieldCast 2Core Cable connector, and on the other side, inside of the aluminum enclosure, a generic LC Duplex connector that taps into the back of a factory standard Neutrik opticalCon Duo chassis connector. We have a Single Mode and a Multimode version of the adapter, and for your convenience we put a 1/4" steel insert into its base, so you can connect it straight to tripod, stand, rig or other gear.